On June 24, 2009, The Smith Island Baking Co. baked our first cake. Since then, we have shipped tens of thousands of cakes to customers in all 50 states and in seven countries. Unfortunately, tourism on the island never materialized, and the reality of shipping gourmet products via FedEx caught up with us. 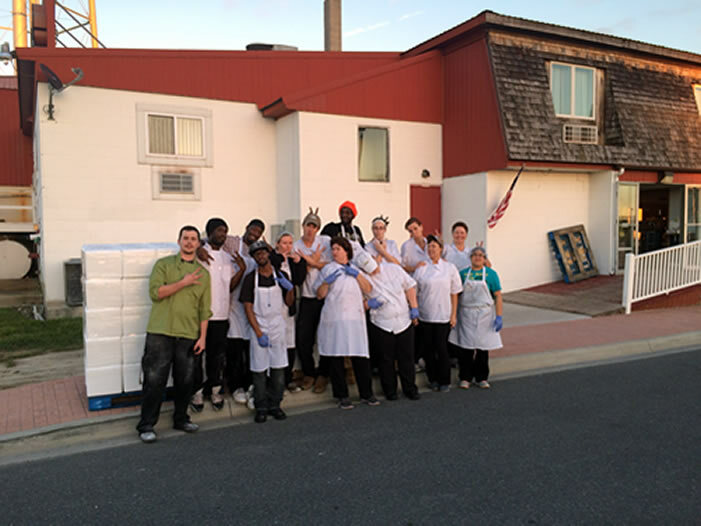 In 2012, we found the largest kitchen in Crisfield ("the closest point to Smith Island without getting wet") and opened a supplemental production and shipping and distribution facility, and started looking for a more permanent solution. 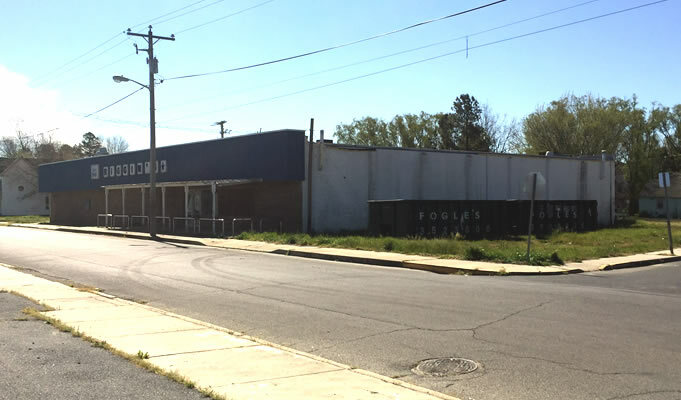 On November 9, 2012, after 64 iconic years in Crisfield, the Riggins grocery store was forced to close after Hurricane Sandy. It sat vacant for three and a half years. 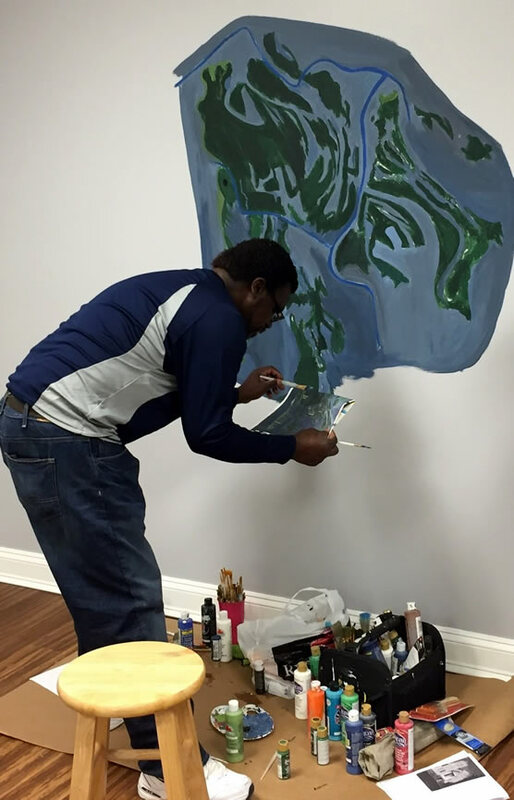 We also hired local artist James Thomas Collins to paint a mural of Smith Island on our wall. We are so proud of our last 8 years, and we look forward to our next 100! Please come and visit, and say hi to our team. We would be thrilled to see you, to show you around Crisfield, and to help you plan your visit to Smith Island. We had high hopes for the project, and it has exceeded them all! Our employees are thrilled, and we can't wait to welcome our customers! The expected start date is November 16, 2016. Please come visit, and watch your cakes being made! To promote tourism, we offer 30% discounts for walk-up customers! 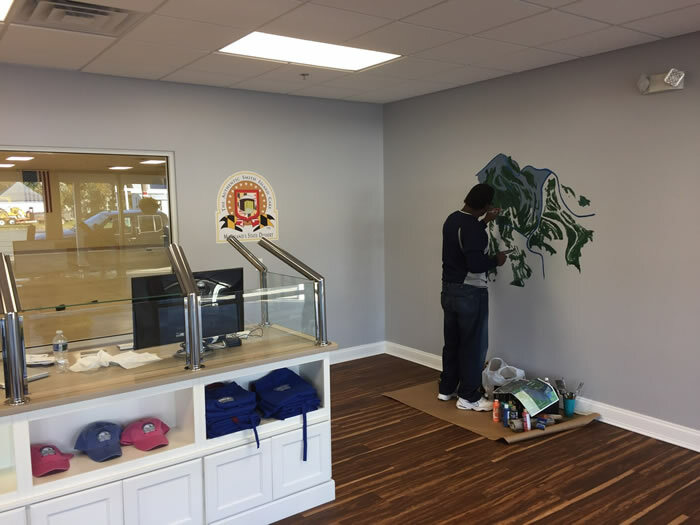 View our Construction Photo Gallery!